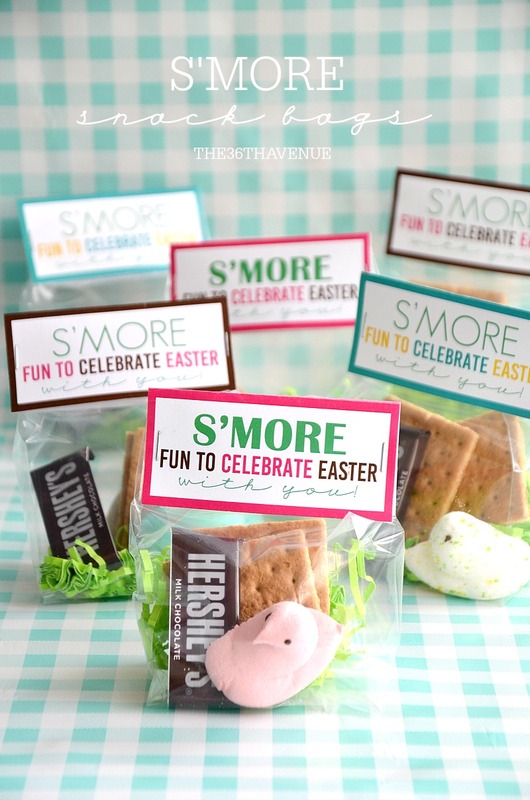 These Easter S’mores are adorable and they make the cutest classroom treat for Easter Week. Hi! Welcome back to The 36th Avenue. I’m here today with a full belly. 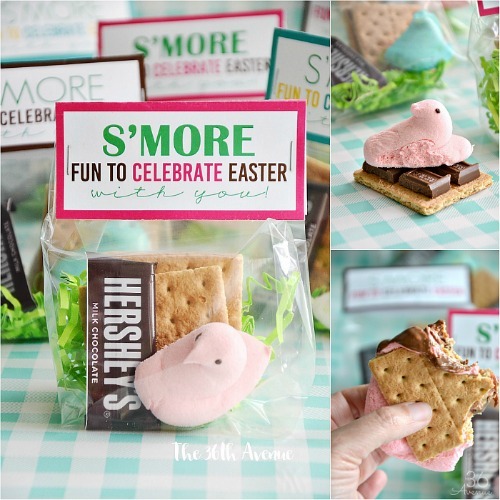 Maybe I had a few too many of these Peeps Easter S’mores. With the excuse of trying to see what flavor I liked best, I ended having three of these and I can tell you that they are delicious! 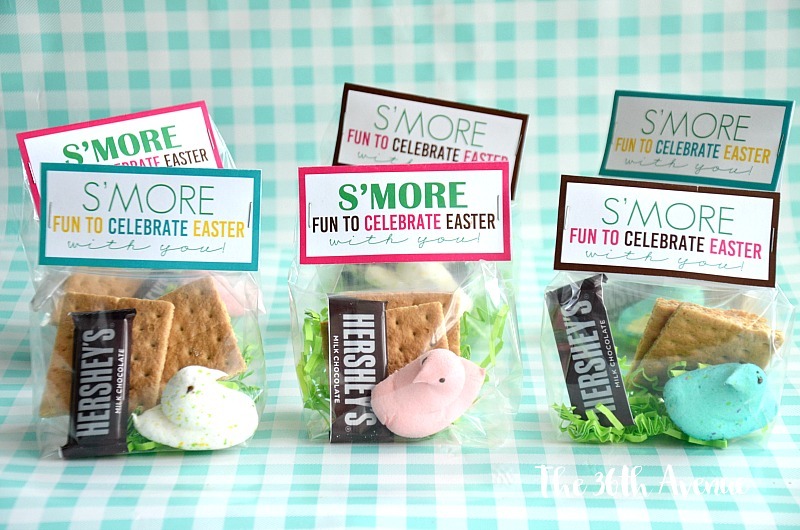 With Easter around the corner I wanted to make a fun and festive treat for my Mimi’s classmates and I came up with this tasty idea and fun printable. 4″x9″ Snack Bags HERE – Make sure the bags are 4 inches wide since this is also the measurement of the printable. Printable Tags at the end of this post. 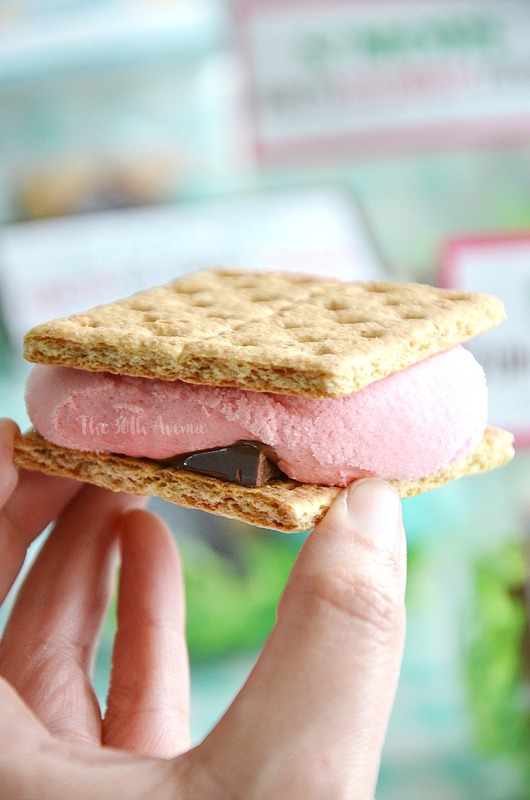 To assemble the s’mores bag simply place a little bit of paper grass on the bottom of the bag. Then break a cracker in half and place both halves inside of the bag. 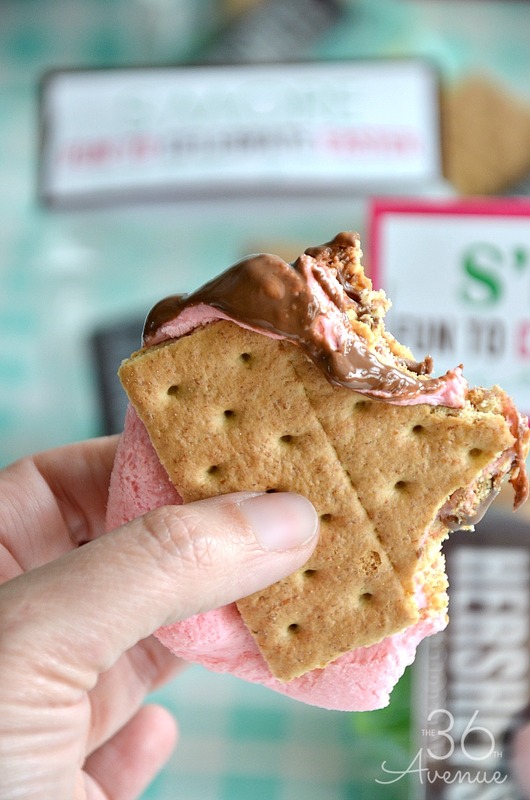 Also put inside one snack size chocolate bar and one peep. Print and cut the tags and fold them in half. 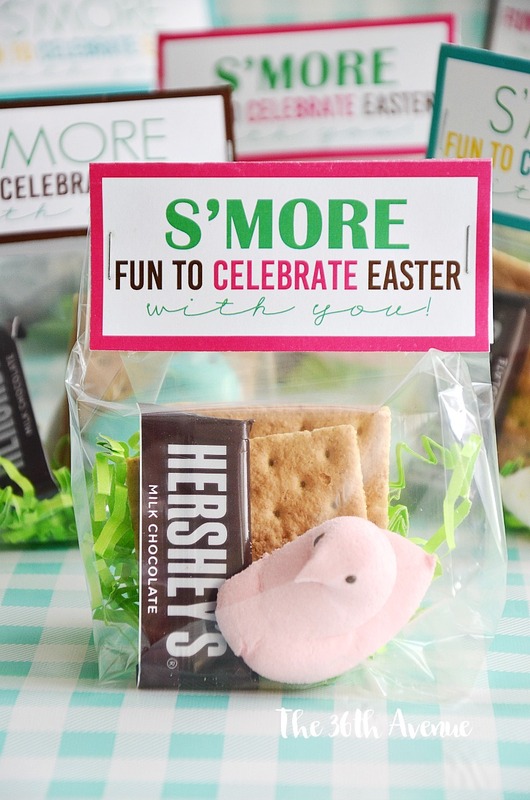 Fold the top of the s’more bag and put the tag over the fold and staple it to close the bag. 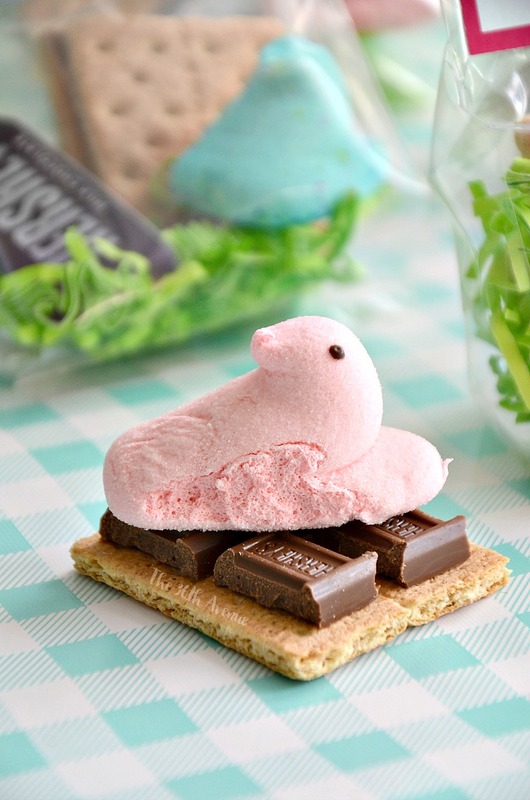 My favorite thing about this cute little snack is that it’s ready to eat in 30 seconds. Break the chocolate bar into four pieces and place them on top of one half of the cracker. Then put the peep on top! Microwave for 10 t0 15 seconds or until the peep starts puffing up. Now place the other half of the cracker on top. I made the printable in three different colors. You can pick one or print all three! Each printable comes with two tags. Click HERE to print the PINK one. Click HERE to print the BLUE one. Click HERE to print the BROWN one. I love Easter so much! 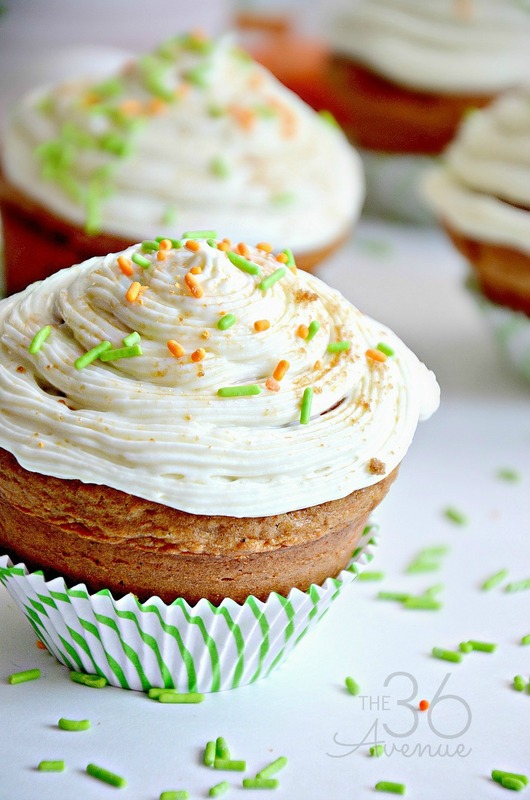 Here are some other recipes and DIY Easter Ideas that I love! Thank you my friends for stopping by! Adoorable. I don’t see 4×4 bags on the Amazon link you shared.